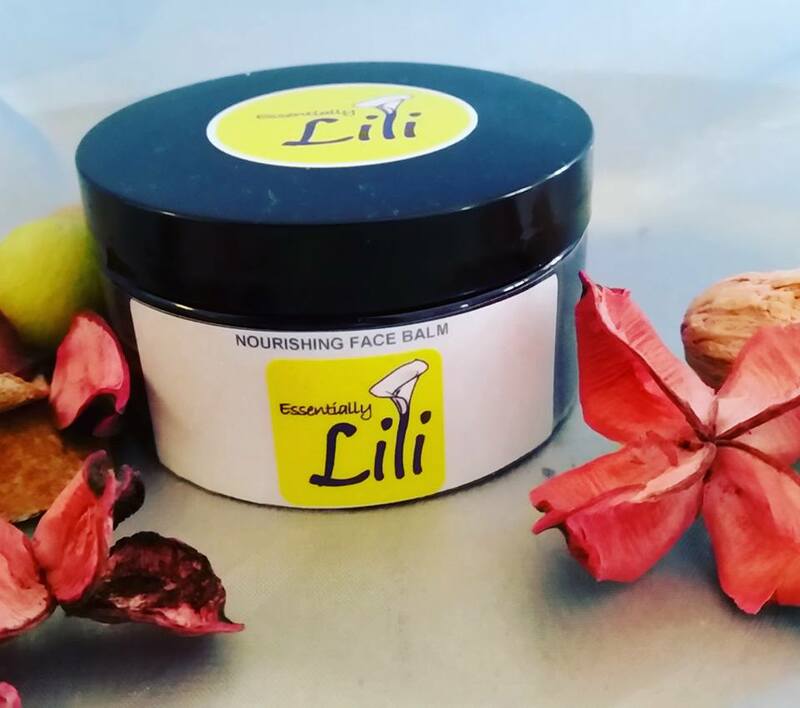 Nourishing Face Balm is Essentially Lili's Signature Product – For Dry, Sensitive Skin which helps Nourish & Soothes the over 30's skin. The Nourishing Face Balm has helped calm down Eczema, Rosacea, Psoriasis & other skin irritations. Ingredients:- Shea Butter (Butyrospermum parkii) Sweet Almond (Prunus dulcis) Jojoba (Simmondsia chinensis) Avocado (Persea Americana) Evening Primrose (Oenothera biennis) Rosehip Seed (Rosa Mosqueta) with Essential Oils – Frankincense (Boswellia Thurifera) Lavender (Lavandula angustifolia) Palmarosa (Cymbopogon martini) Rose (Rosa Centifolia) Roman Chamomile (Anthemis Nobilis) & Grapefruit Seed Extract. 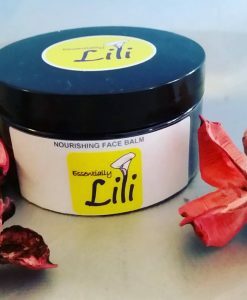 Description:- Nourishing Face Balm is Essentially Lili’s Signature Product – For Dry, Sensitive Skin which helps Nourish & Soothes the over 30’s skin. The Nourishing Face Balm has helped calm down Eczema, Rosacea, Psoriasis & other skin irritations. Directions:- To be used after shower or cleansing the face with clean hands. Using the back of the thumb nail, apply approximately 1/2 a thumb nail of product to the face and neck. It can be used day or night and in together with with preferred Face Serum. Apply a little to start with and adjust according to the weather and if more is needed. It’s rich, soft, melts on the hands before application and made my skin look brighter and more even. I LOVE THIS PRODUCT!!! I haven’t had Eczema for years since using this, all day, every day, no matter what the season is! I love this product… so smooth makes my skin smoother and even . Thank you / Grazie Eva for your wonderful message! I love that you love the products! 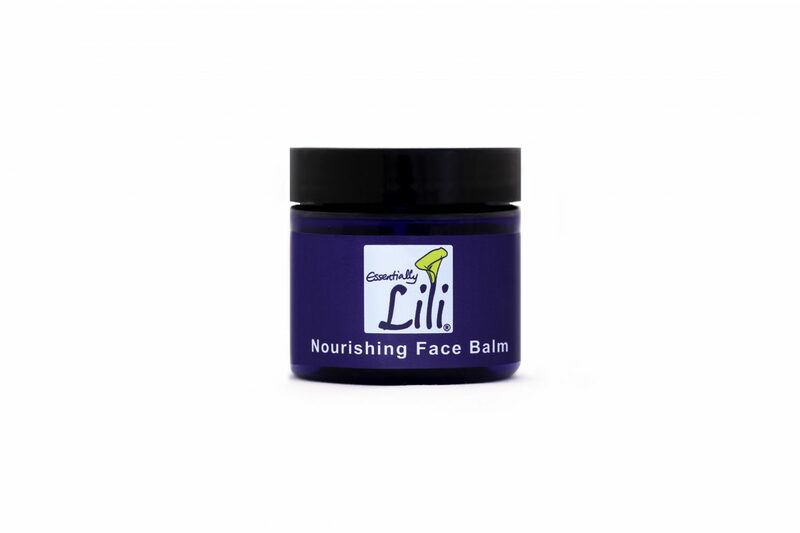 The Nourishing Face Balm is better than any big name commercial brand that I have ever tried. It has made my skin look younger and softer. It is gentle on my sensitive, dry skin and doesn’t give me acne outbreaks like so many other facial products. 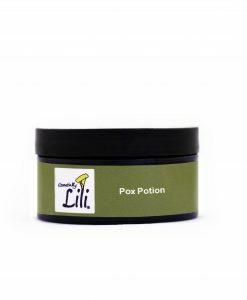 The balm has also helped soothe and treat ezcema outbreaks that I suffer from during the dry winter months. 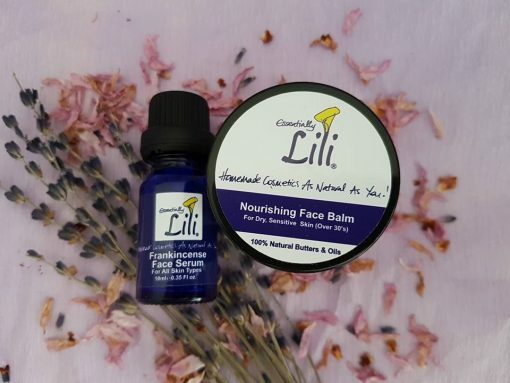 I’m so pleased that the Nourishing Face Balm has been the best product for your face and sensitive skin, treating Eczema and preventing breakouts! 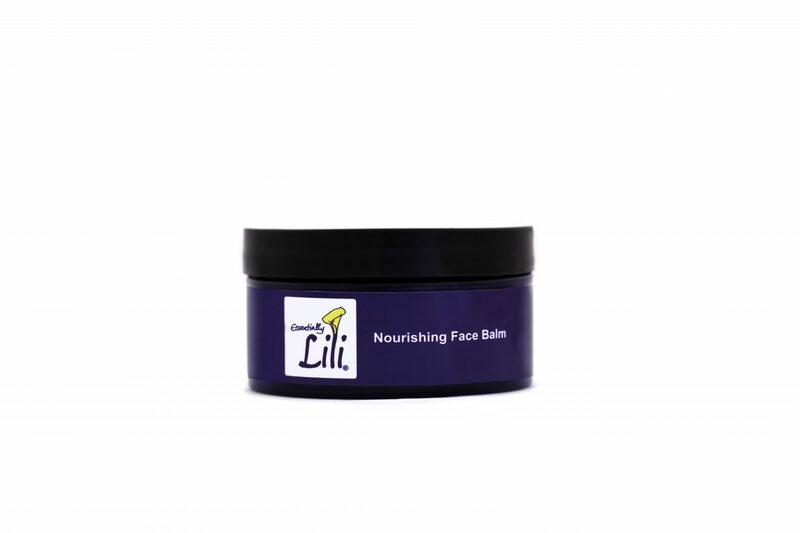 Nourishing Face Balm is perfect for dry skin, makes your skin brighter and nourishes it to its core. Thank you so much for your comments about the Nourishing Face Balm. Your skin looks amazing! I love how the Nourishing Face Balm feeds my skin in winter and feels very smooth. It is a savior in winter for someone like me who tends to have dry skin. 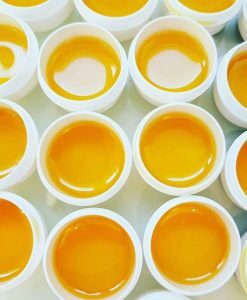 Thanks for sharing your comments about the Nourishing Face Balm – it definitely prevents dryness during the cold winter months! Love that you found what works for you! Ever since I use Nourishing Face Balm, I never look back using any other brand for my daily skin care. 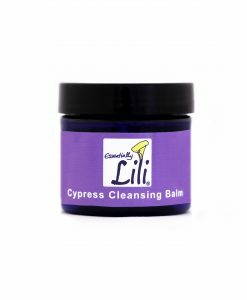 This product is fantastic for daily skin care and all with natural ingredients. 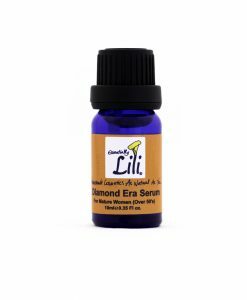 It becomes a part of my daily routine, morning and the evening after I apply the Frankincense Serum. 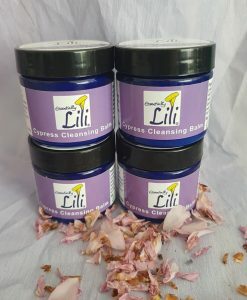 As with the name, it helps nourishing my skin, and my skin has never looked so amazing! 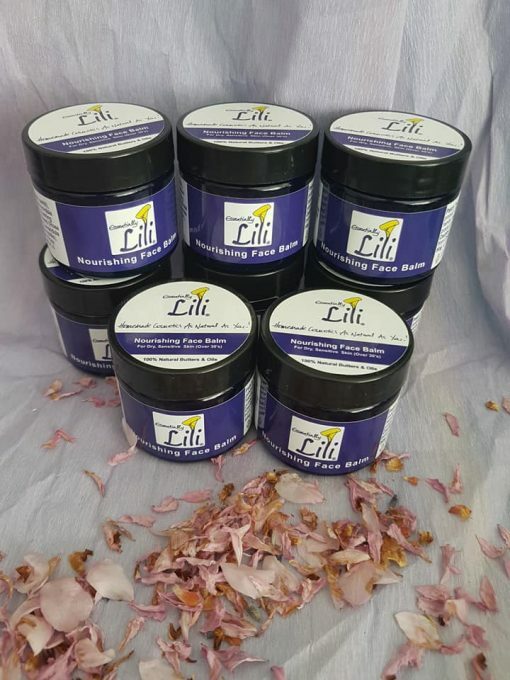 This is just wonderful to read about our first product! How amazing to see how your skin is glowing with confidence! Thank you for sharing your review! Best products I have ever used. Love, love, love that all ingredients are natural and not tested on animals. Fantastic, thank you so much for your gorgeous feedback! So glad you tried it and love it! You are welcome! 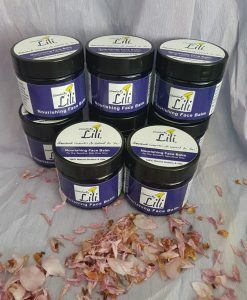 Nourishing face balm – I started using this product last year June and was amazed at how long a small jar lasts. Before I would use products for the same price within a month & now the nourishing face balm lasts and last . 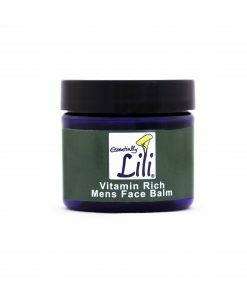 . . My skin first had to get used to the change from commercially produced cream to this natural one. But it was worth the short transition period & now my skin feels well nourished at all times. 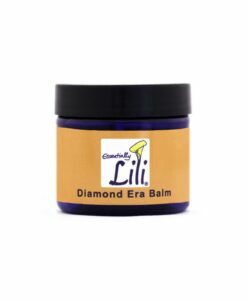 Since all this news about long term damage to your skin when using commercial creams, I am very happy to have found this natural balm. Lili is also always there to explain what’s in the balms which I very much appreciate. I can truly recommend the Nourishing Face Balm. I love that you gave the product a try and noticed a difference in such a short space of time, both how it feels and the value for money. I love the Nourishing Face Balm. I had combination skin, with lots of blemishes and this worked a treat. Only a small amount is needed to moisturise my whole face, so it’s excellent value for money. 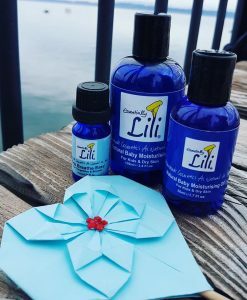 Thank you for writing about the NFB – I’m so glad that this product helped with blemishes as well as making your skin feel great! 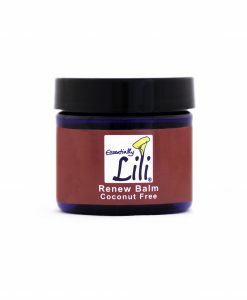 I love Lili’s Nourishing Face Balm, I’ve tried most of the premium brands and none have done so much for my skin as this. I’m really pleased that the Nourishing Face Balm has been a wonderful relief in comparison to the other brands you were using. Thanks for sharing! 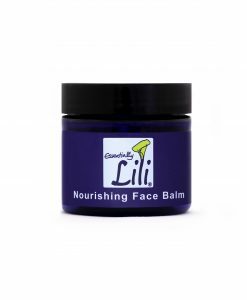 The Nourishing Face Balm is a great moisturizer and a good value also. 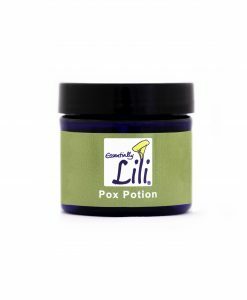 One jar lasts forever as you really require very little each application. It feels really nice on the face and keeps ‘working’ all day long. 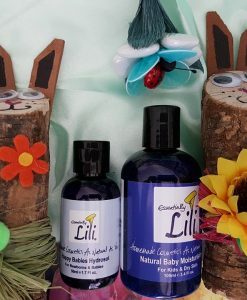 Thanks for your review of this product! I’m glad you have found it working all day and that not much is required to make your skin feel great! Love, love, love it! This is the only product which improves my skin. I have uneven skin color because of skin fungus and after a few times using it, my skin was brighter. And I’m sure my skin will even out soon. I look forward to use this moisturizer every morning when I wake up. The smell is amazing, super smooth and is all natural. It does do its magic!! 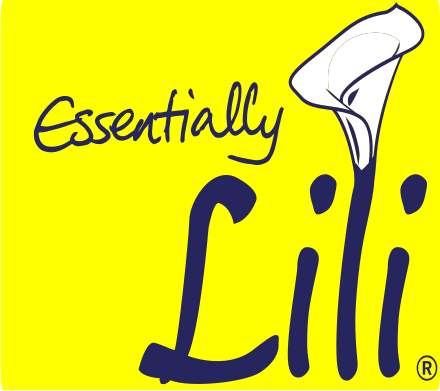 So happy that I found you Lili! Thanks for the amazing product! After having enough of commercial brand moisturisers I tried the Nourishing Face Balm. 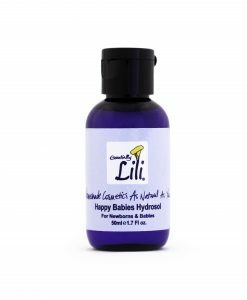 I was skeptical and I didn’t see any difference for around two weeks but then I noticed my face was soft and hydrated, my ‘laughter lines’ seemed less deep and some tiny pimples on my forehead disappeared. Very happy customer indeed. This is such a great product. I’m currently using the Nourishing Face Balm. And I love it! I used to have uneven skin toned due to skin fungus. And now I must say that my skin tone is better and more even that before plus my skin looks brighter. I also love the smell and it’s all natural!! What a fabulous product. It has got my skin through winter and feeling hydrated and soft. 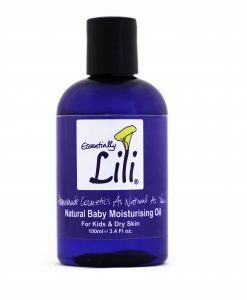 I have tricky sensitive skin and it`s been a winner. A little goes such a long way too which is always nice! try it! It’s amazing how such a little amount of the Nourishing Face Balm can make so much difference. My face feels softer, brighter and smoother, just a few days after using it. Smells great and love putting it on! Can still feel it, protecting the skin when the day is done. 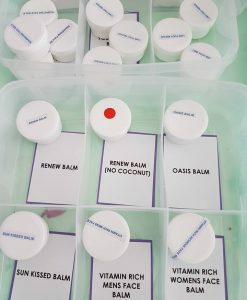 Love the Nourishing Face Balm! Thank you for sharing your review on my all time favourite product. It’s great that your skin is feeling protected all day, it’s rich enough to keep it hydrated until you cleanse at night time. Thanks for sharing how you love this product – it really is a pot of magic, tweak how much you need depending on the weather and your skin.